Imagine my dismay when I discovered that the Secret Roadmap didn’t exist. Naturally, this makes perfect sense: every educator’s path is going to be different, based on their past experiences and learning, where they’re teaching and who they’re teaching with, and what their natural strengths and weaknesses are. Nevertheless, I keenly remember the frustration at feeling totally lost several times during those first few years — and I’ve seen other new travelers struggle with it, too. 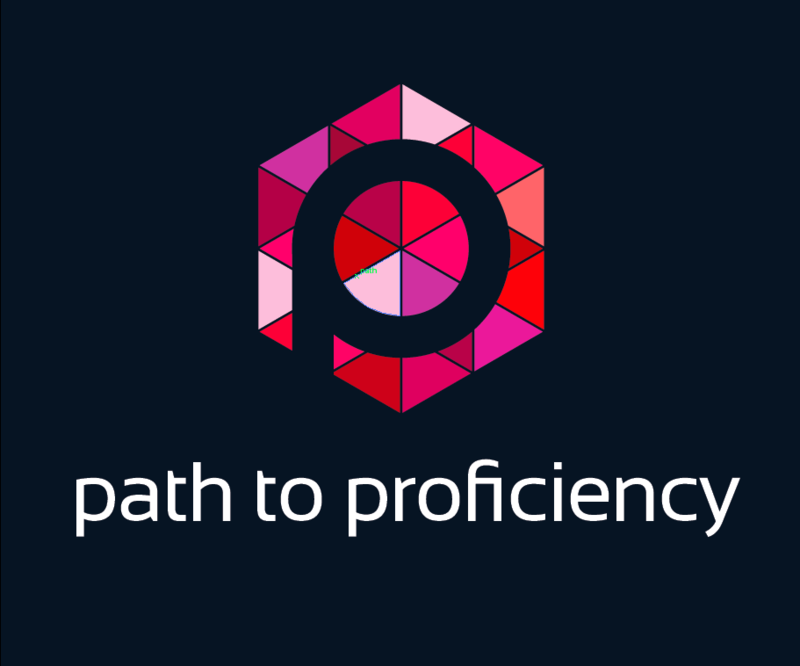 So while I can’t tell anyone else what course their route will ultimately take, I can certainly share the story of my peaks and valleys on the Path to Proficiency to now. My journey began when my district coordinator invited me to attend a talk by Greg Duncan on proficiency and its implications for our teaching. At this point, I was 6 years into my career, and frankly, I was entertaining thoughts that it was time for me to move on and find my “real” profession. Greg’s talk ended up being the light that brought me into a whole new world of teaching, however, and that summer, I went through a 4-day “crash course” in proficiency, intent on changing my ways for next school year. I threw out my discrete item tests, and replaced them with performance based assessments (presentational speaking and writing, and interpersonal speaking). Instead of handing out the list of vocab at the start of each unit and “going over it” (How do you say “car”? “Kuruma”. Repeat after me. “Kuruma”. Now, how do you say bus? ), I started introducing vocabulary by presenting it in sentences in the Target Language. I also began to very slowly take a look at my curriculum and make some smarter choices with it. I was still walking hand-in-hand with the textbook — but I started to see if I couldn’t move some things around. (That very last chapter in the Level 1 book on hobbies and interests? Maybe that should get moved up to 1st Semester. And we don’t cover physical traits until Level 2… but that sounds like it could logically go with the family chapter in Level 1.) Also, since I’m a singleton and teach all levels of Japanese at my school, I was encouraged by my district coordinator to only pursue changes in my Level 1 classes that first year. That was unquestionably the right call, and I am very thankful to have had that support. There were plenty of road hazards that first year, too. I didn’t even know what the term “input” meant back then, and you couldn’t truthfully call what I was doing proficiency. The time that had been taken up doing workbook activities (the crux of my “instruction” in the old days) was now filled with what boiled down to rote memorization — we’d practice the same conversation prompt three or four times a week, and constantly do presentational writing activities with the aim of “practicing” for the PBA at the end of the unit. Still, we all have to start somewhere, and nobody died from me not being an expert that first year. My students made more progress than ever, and I felt energized in the classroom in a way I never had before. Even now as I chuckle in disbelief at how poor some of my instruction was back then, I’m still immensely proud of the gains I made that year. The tone of this year was really set when I was introduced to (actually, forced to sign up for) Twitter during a summer training. Anyone reading this blog understands the power of Twitter and the internet to connect us with our educator community and improve our practice; suffice it to say I tell others that signing up for Twitter was the single best thing I ever did for my teaching. I began participating in #langchat, and reading other teachers’ blogs. This exponentially increased my awareness of best practice. I started to learn about Input, and began incorporating some select authentic resources into my instruction. The ups-and-downs of using #AuthRes that year also led me to an increased understanding of the nature and need for Comprehensibility. After being introduced to IPAs the summer before, I discovered ACTFL’s “Implementing Integrated Performance Assessment”. It helped me to recast my performance rubrics in a way that addressed increases in Proficiency level over time, as well as gave me a model for assessing Interpretive mode. I began making some larger-scale adaptations to my curriculum. Most significantly, the “Morning Routine” chapter in Level 1 morphed into the theme of “Class Trip to Tokyo”. I still managed to teach and honor the vocabulary and language patterns that were written into my curriculum, but within a theme that better engaged me and my students and allowed us to make connections to a much broader range of topics. I knew I was really starting to get into proficiency, but I had no clue where I needed to direct my professional learning next. It often felt that year like I was sailing friendly waters, but totally lost at sea without a map, just hoping that I’d stumble upon the next “island” of good instructional practice. I started to have real problems as the chapters in my textbook (especially in my Level 2 course) did not contain the themes or language necessary to support the proficiency benchmark set by my district. As I began moving further away from the textbook, my kanji (Chinese character) instruction suffered terribly, creating a big gap in my students’ interpretive reading abilities. The previous year had been characterized by enormous growth, both for myself and my students. I entered Year 3, not really sure where my professional learning would take me, but confident that I would continue to skyrocket in progress. But by the end of the first week of school, I could already tell that this year would be different. Among my new batch of students were kids who were needier — emotionally, socially, academically — than any I’d had before, and I felt totally unequipped to address those needs. My whole year felt like a constant tug-of-war between my heart and my head: do I spend class time building students up and making them feel valued as people, or focus my energy on delivering sound Target Language instruction to them? I know that’s not supposed to be an either/or proposition, but the honest truth is that it felt like it was. I realized that literacy was a huge issue for my students, and I began researching what I could do about it. David Jahner from College Board recommended I start with reading Kylene Beers, and it proved to be excellent advice. I woke up to the fact that the language performance of my Top 5% did not represent the proficiency of all my students. Realizing that my students’ proficiency level overall was much lower than I had initially judged brought me to not just plan for input, but focus on it. I began working on daily learning targets, and understanding that it was not sufficient to say “We’re working on X this week.” Again, this was a slow and laborious process, and I wasn’t able to really judge my progress until I took time to reflect after the year had ended. I started playing around with some really significant transformations in the units I was teaching. I also started to look to the AP Themes (the Japanese AP Course doesn’t yet make use of them, so doing so was new to me) and Essential Questions to help me reflect on the validity of my units. I ended that year feeling rather deflated, but also with a new clarity of vision. I was able to identify the weaknesses in my instruction and seek help to improve them. I no longer needed to ask others “What do I need to work on next?”, because I was capable of identifying the answers to that question on my own. It was a year of frustrations and challenges that undoubtedly led me to better teaching practice — after all, necessity is the mother of invention, right? Writing purposeful daily learning targets, and using them to frame every lesson. I’ll be totally honest: I can’t say that I’ve observed how writing and sharing my daily learning targets with students has had an impact on their achievement. (The research seems to say it does, so I’ll take that one on faith.) What I’m 100% sure of, however, is that writing and sharing Daily Learning Targets holds ME accountable to plan small, impactful daily lesson sequences that prove my students can do something new in L2 today that they couldn’t do yesterday. That makes it absolutely worth doing. Even on the best of days, I’m far from reaching that coveted goal of 90% Target Language usage. It’s not so much that I genuinely feel compelled to hit that target, but rather, that I’ve gone a long time without examining my instructional practice and looking for those places where I’m allowing myself to be lazy or not taking the time to plan carefully enough to stay in L2. My Level 1 classes have a lively and robust environment that makes room for well-supported and scaffolded conversational interactions. But in each subsequent level, I prioritize the interpersonal mode less and less, even as students are working towards pushing their proficiency ever further. I need to take a hard look at my unit themes and objectives, and consider how I can make more space for interpersonal communication — the heart of why most people want to learn another language. I feel good about the job I do getting my Novices to Intermediate… and considerably less good about how I’m doing once I get them there. A variety of factors are at play here: my Level 3 and 4 classes are stacked together; the students in those classes tend to start the year with a much wider range of Proficiency levels; I teach Levels 3 and 4 on an “A Year, B Year” curriculum, so I have 50% fewer opportunities to teach those units than the ones in the Novice courses. Undoubtedly, my goal is to have students leave my program as far into the Intermediate range as possible, so improving in this area is a must. Even though I feel good about having reduced the amount of attention I devote to presentational mode, the fact that I use it primarily to assess students’ learning seems problematic. People naturally want to learn a language so that they can communicate with others — and in presentational mode, that means having an authentic audience that is genuinely interested in receiving their message. If I am the only person my students communicate with in Japanese, what motivation do they have to push their proficiency forward beyond earning a good grade in class? These are heady issues, and I don’t think any of them can be solved with a simple fix. However, I know that I’m not the only one tackling them, either. My ongoing journey down the Path to Proficiency has taught me many lessons, but none are as evident as this: our tribe of World Language educators embraces growth and collaboration. I am not alone on this journey, and as long as I continue down the Path, I will have many dear friends and colleagues seeking and sharing answers with me. Bravo, my esteemed colleague, John Cadena.